Nowadays, Mobile app is like a family member for everyone. Mobile App is playing an important role in everybody’s life, because of this lots of people are coming up with their unique ideas to put their business in the form of an app. 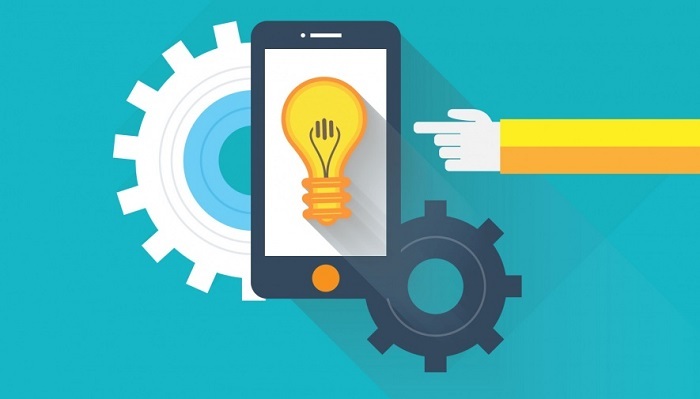 Business owners and startups are now focusing on the mobile app instead of their website. They knew the importance of mobile app for their own company. We have numbers of apps in Play Store or App Store. With the use of mobile apps people getting their things done very easily. If you’re planning to develop an app for your Business, then you need to do proper planning on what exactly you want in your app and what your business is all about. Also, you need to focus more on “what not to do” than on “what to do”. With the use of this strategy and planning, you can build an excellent app that can stand out in the market and hold a good position. In this article, we’re discussing some challenges which developer faces during the development of an app. This is the biggest challenge for developers while developing a new mobile app. As we all know lots of apps are available in the mobile app market, if you don’t want your app to get lost in the app market then you need to develop an app which is noticeable by people. You need to create an app that looks great, having high-quality features, include graphics and design. You can also take the ideas from existing apps that are relevant to your business to understand your customers. Always focus on your target audience and your aim of the app. After having the unique idea for the app, the next step is the development process. To develop an app you may require an average cost of $3500 – $10,000. The cost of development depends upon the nature of an app, functionality, design and on many other things. Now the question comes to your mind is how you generate the funds for your app? Before going to the investors, there are several ways to generate the funds for your app. You can directly approach your friends, relatives, and also you can apply for loans. You can also go for online crowdfunding platforms like Kickstarter and Appbackr but, for that, your idea should be unique. This is another challenging part for developers to develop an app that will run on all different devices with different screen sizes. We have to build the app which will run across as many devices as possible. In the app world, we have different mobile platforms with different restrictions based on OS requirements, screen sizes, graphics, pixels intensities, etc. For developing an app, we need to consider the OS of the mobile platform. Every mobile OS (iOS, Android, and Windows) has a different user interface and patterns. So, prepare yourself with the platform you choose for the development process. While developing an app always go for simple designs that are easy to use. Don’t use the extra functionality that difficult for the user to operate the application. Always keep in mind if the functionality of an app is clear to you, but it doesn’t mean it will clear to users as well. So, always add helpful tutorials and instructions in your app. You can use the UI guidelines provided by all the mobile platforms to chose the UI patterns. After successfully developing the app, the main challenge is to promote that app. Most of the developer think that the promotion isn’t a necessary task but, it’s not true. There are several challenges which developers face while promoting and marketing their apps. The competition, timeline for the app, right platforms, and developers, Social Media, etc. A Successful app is all about 90% marketing and 10% development. You can try the tools and platforms which help you to promote your app. AppTamin and AppScend are the platforms you can check out.